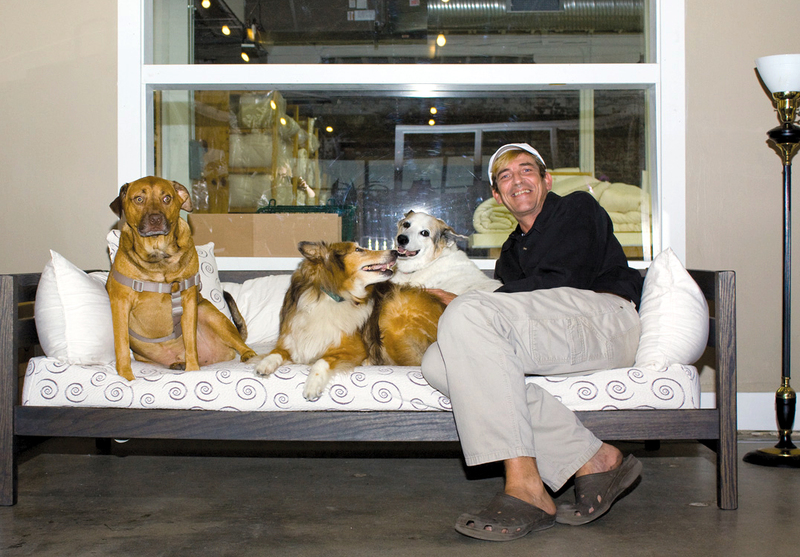 Some of CozyPure’s pampered pets lounge with Hans on the Eco Terra Organic Sofa-Day Bed on site. April 11th is National Pet Day and CozyPure supports your commitment to your critters. Pets are family, and we would not offer the entire family sleep support if we did not mean it. There are many reasons pets are known to benefit the health and quality of life in people, which may be why our owner allows our pets to come to work with us. However, sleeping with our pets, or allowing them to sleep with us, is something more of us are guilty for than not. The American Pet Product Association ran a survey and found that nearly half of dog owners allow their fur-baby to sleep with them at night. It was also found that 62 percent of house cats sleep with their owners and that 13 percent of them sleep with the children. In another study conducted by the Mayo Clinic on sleep disorders, half of the patients in the study admitted to sleeping with their pet and 53% of those patients recognized that their pet disturbed them while sleeping. Disruptive sleep is not restful sleep, but there are those who have shown to sleep easier and more comfortable sharing their slumber space. Pets, like partners, can provide a calm, warm body to regulate our own against and therefore making it easier to fall asleep at night. Those with fibromyalgia and other chronic pains that respond to heat have found that their pets warm bodies act like a heating pad to those sore spots. There is a comforting sense of security that many pet owners remark as the reason for keeping the critter in the bedroom at night. Whether it comes from knowing that they have an alert system near if any intrusions occur or if the security embeds in the companionship of critter and owner is unclear. It has been mentioned that the soothing purrs of a cat or the heavy heart thumps of a pup have aided those with insomnia and other sleep disorders to a peaceful sleep. The body responds significantly to the “petting” of an animal, the cortisol (stress hormone) levels of the human body lowers, while the serotonin (feel-good chemicals) and oxytocin (cuddle chemicals) increase. This release of serotonin and oxytocin relax the body, enhance psychological stability, and provide an excellent mood to drift into sweet dreamland. Sharing your bed space with your pet is not for everyone. Those who suffer from allergies and asthma should not allow their pet to sleep with them, and preferably should not allow them to sleep in the same room as them. It is good to give the body a rest from breathing in irritating allergens and dander when so detrimentally affected by it. Dogs can become honorary, portraying aggression and dominance issues, when they feel they have certain ‘rights’ to your sleep space. Breaking them of this habit can take time and it is recommended by Pet M.D that owners do not give their dog the freedom of sleeping in the bed on their own accord. Instead, dogs should be taught to ask permission, or wait to be invited to the bed (territory) and then be directed to where to lay on the bed. This allows the pet to recognize the space as a shared space that is dominated by their owner, and their privileges in the bed will be more appreciated and less entitled. Though, if your dog tries to sleep with you, take it as a compliment. 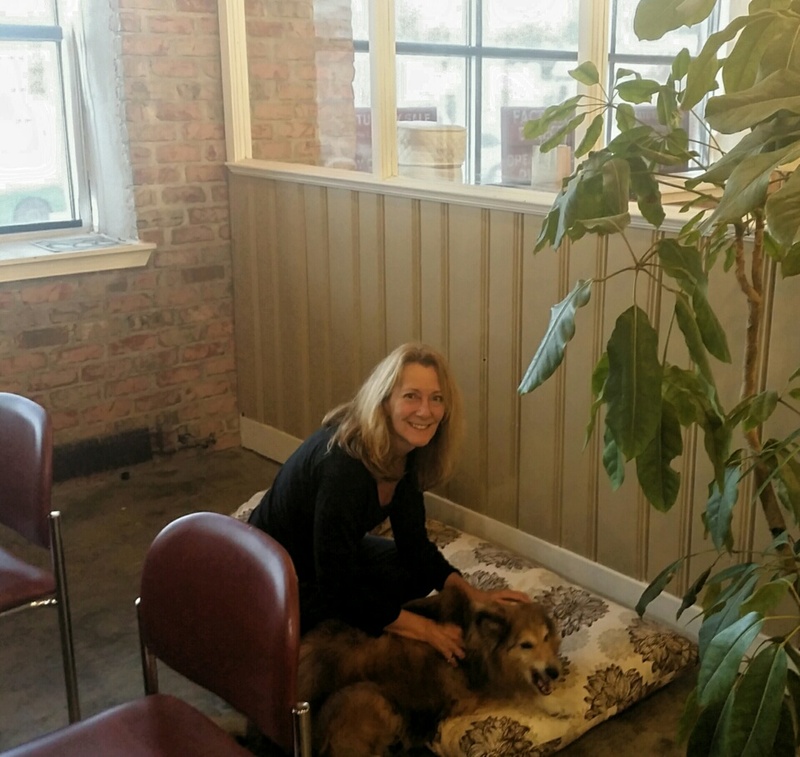 Internationally recognized dog trainer, Victoria Stilwell, says, “Dogs only sleep with people or dogs they trust.” So if your waggy-tailed critter wants to cozy down with you, relax in knowing you have created a bond. If you have a cat and question the fuzzy feline’s love for you, experts say that the kitties slow blinks are your sign of approval. People can return the love with a long gaze and slow blink to reciprocate the sign of loving approval. According to cat behaviorist, the calm blink works on house cats, feral cats, and wild felines. We want you and your furry friends to sleep comfortably and confident in knowing that your companion is as cozy as you. This is why we had to extend our product line from organic bedding “made for humans” to CozyPure comfort for your pets too. 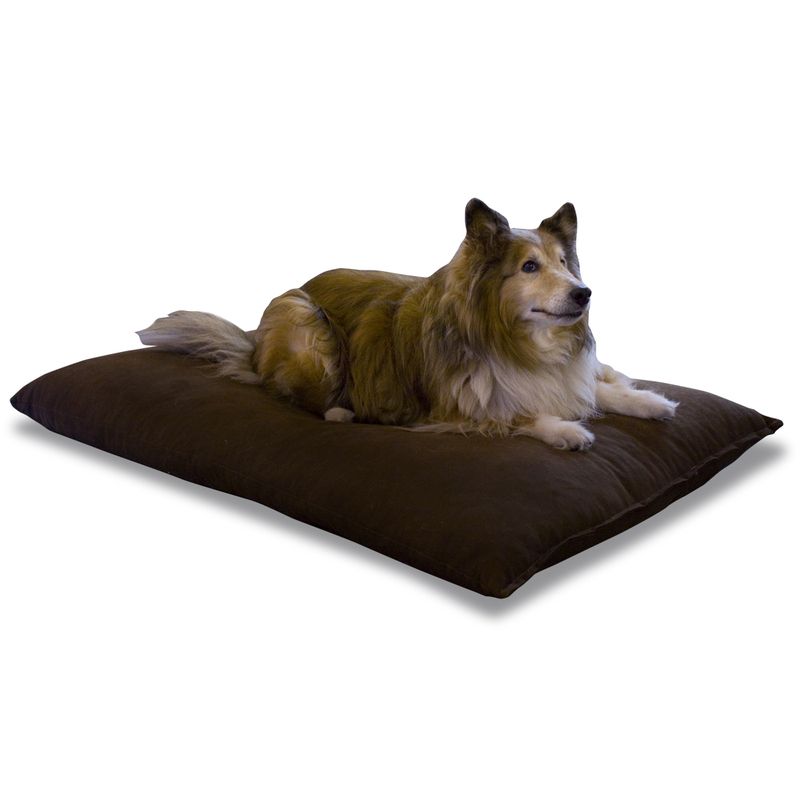 So whether your fur baby sleeps with you, you are attempting to change their sleep space, or you are a soon-to-be pet parent we have quality organic comfort for you to tuck them in. ‘Sunshine’ is shown, posing on the large Orthopedic Pet Bed, made by the CozyPure professionals.